Turning Tables Myanmar works to empower marginalized youth by providing the means to process and express their hopes, dreams and challenges, through the Creative Arts of music and film. We strive to address the root causes of inequality and provide support to a wide range of challenges in Myanmar from gender-based violence, tribalism, extremist groups, youth in urban slums and the communities in which they reside. Our unique approach of promoting youth participation is established to value and amplify their voices and use experiences to share their stories responsibly through film and music through multiple media outlets. The use of an artistic medium creates a non-violent space to widen and deepen the context of their issues, which in turn creates space for increased peace dividend and non-violent transformation that provides alternative opportunities to transcend conflicts in their society and shift narratives.  From Myanmar, Turning Tables reaches out to at-risk and marginalized youth in Myanmar's most challenging communities with an innovative methodology. We aim to address the lack of youth access to inclusion and education by empowering youth to express themselves through our ‘product-based approach’. By utilizing creative tools for music and film production and performance, we seek to instigate collective and individual processes of self-reflection and critical thinking, thus inspiring and cultivating youth in Myanmar to advocate for change in a non-violent way. The 'product-based approach' is designed to strengthen networks and build bridges within and outside communities. Building and designing products reduces distances between people while working towards a common goal. The process also promotes a technical skill-building capacity in an open space from where youth can self-reflect and advocate for change through their products. Through our programmes, the youth embark on a multi leveled process where they are able to interact with peers and mentors. The process creates an opportunity to develop character skills by supporting one another, through youth-to-youth communication, positive role-modeling and preventing negative coping mechanisms. Based on 7 years of success, we believe that we have now found a truly efficient and operational innovative concept in the Turntable Lab. The Turntable Lab is a mobile container 0% energy music and film production facility launched by sending in an experienced local and international team of filmmakers, music producers and studio engineers to the selected location. The Lab functions not only as a production facility, but also as a creative safe-space for youth to come together and learn, exercise and practice their skills, nurturing a safe environment for mutual understanding and common ground for all youth. Watch the video: The Turntable lab was developed in partnership with the Danish Center for Maritime Architecture. The space for a sustainable and scaleable solution for youth has been refined and is now implemented by our CSR partner Arcgency Architecture Copenhagen. In Denmark and Sweden, the Turntable Labs also conducted digital photography workshops at homeless and asylum centers. This approach and experiences are now to be harnessed in Germany as well. Turning Tables' work and innovation through digital engagement was honored at the MIT Build Peace Conference in 2014 and 2017, the UN Social Goods Summit 2015 and 2016 and by winning the Social Innovation and Leadership Award at the World CSR Congress 2017.